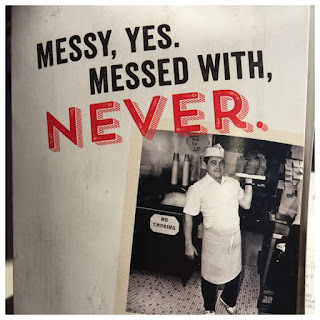 When Milo Carlton opened Milo's Hamburger Shop on 31st Street and 12th Avenue North in downtown Birmingham, Alabama, he probably had no idea how beloved his hamburgers would become. And not just the burgers! 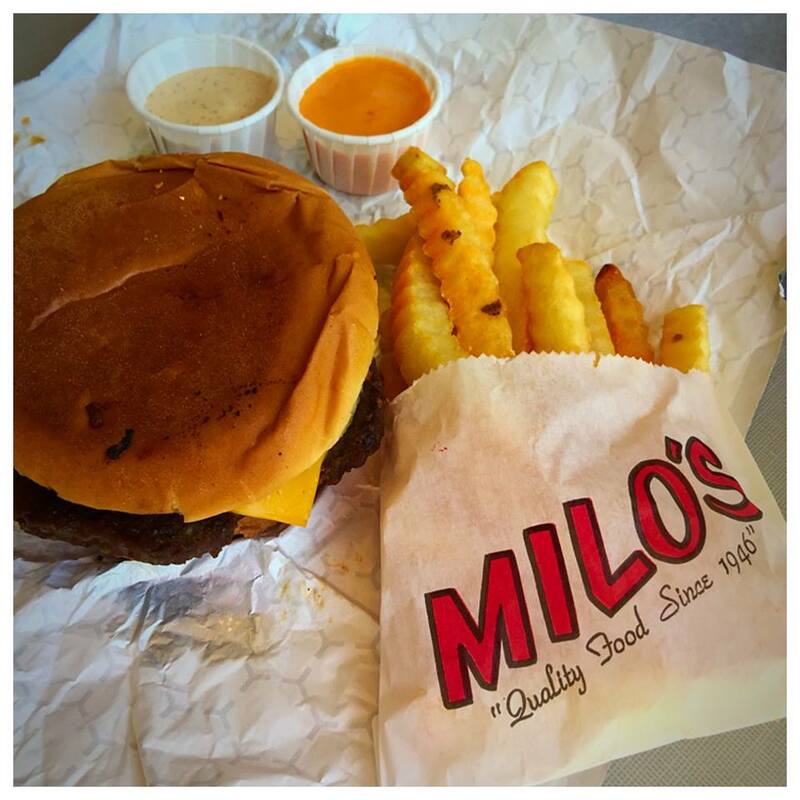 Milo's sweet tea and French fries are equally loved partners to the saucy burgers. The concept is simple, the menu is simple, the items on the menu are simple, but somehow it all works. 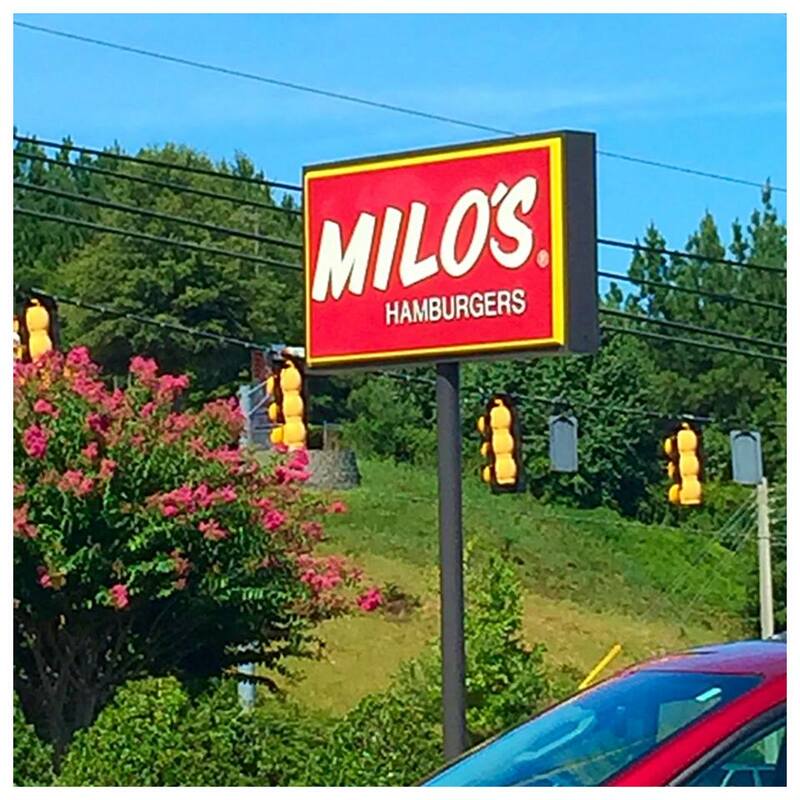 Since opening in 1946, Milo's Hamburgers has achieved iconic status that reaches far beyond the borders of its hometown. 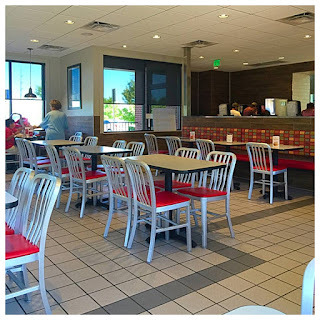 The only items on the menu are two entrees: burgers or chicken, two sides: fries or coleslaw, three shakes, three fried pies, five sauces, soft drinks and tea. There are four versions of burgers: hamburger, cheeseburger, double hamburger and double cheeseburger. 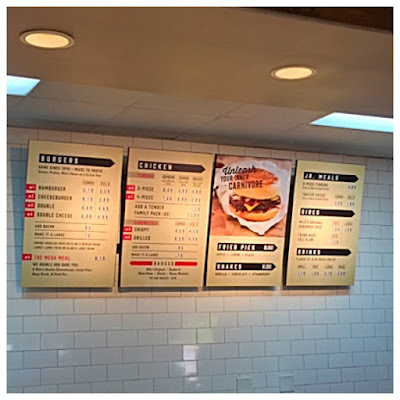 The burgers can be ordered by themselves, in a combo meal with fries or slaw and a drink, or there is a Mega Meal, which is a double cheeseburger, super-sized fries and drink, plus a fried pie. The chicken menu includes 3 or 4 pieces of hand breaded fried or slow marinated grilled chicken tenders, alone or in a combo meal with fries and a drink. 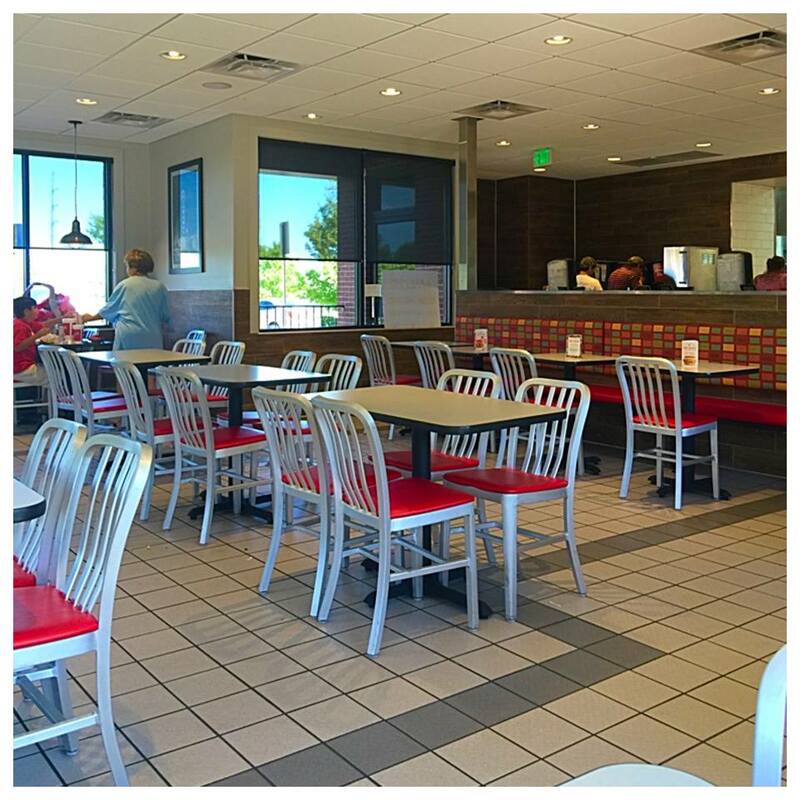 Chicken sandwiches are also offered fried or grilled, alone or in a combo meal. 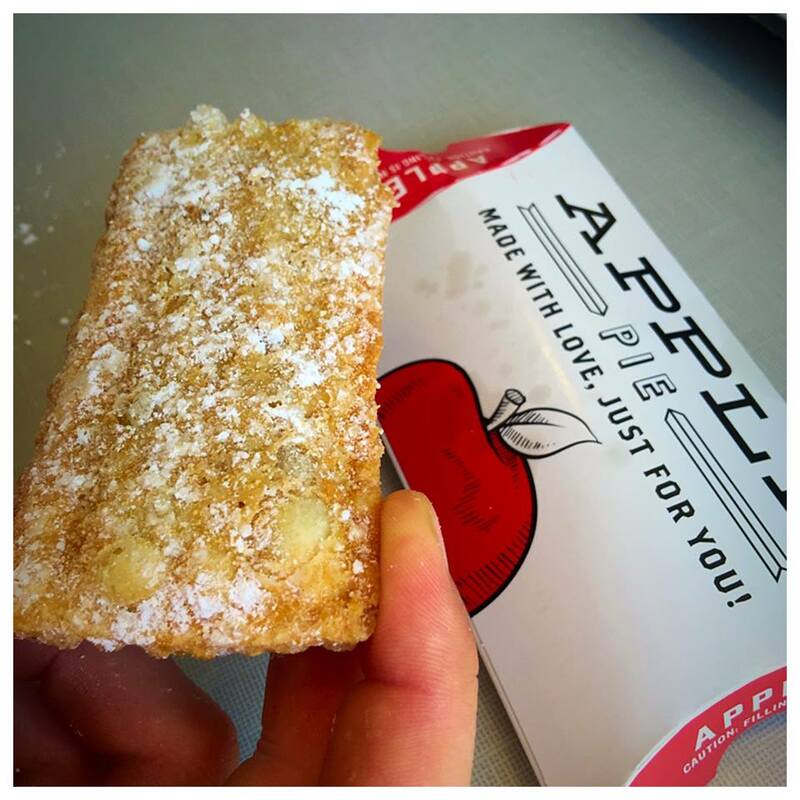 Shakes are chocolate, vanilla or strawberry and fried pies are peach, lemon or apple. 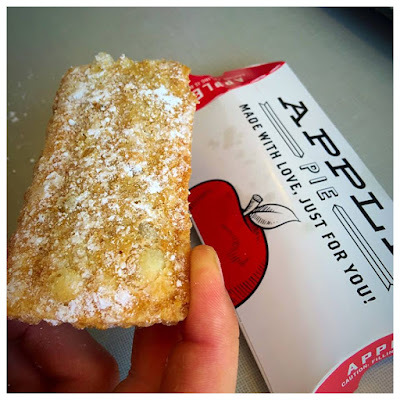 The fried pies are reminiscent of McDonald's hot, crunchy, puffy rectangular pies served up in a cardboard sleeve. Sauces include Milo's Original, Boom Boom, Ranch, Double O and Honey Mustard. Beverages are soft drinks or tea, sweet, unsweetened or with Splenda. That's the entire menu. 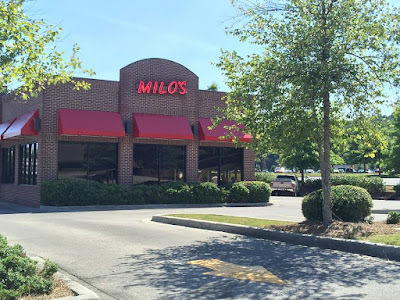 Because Milo's does not focus on an extensive menu, they can devote time to making the items they have as consistent and well made as they can be. Milo's understands that the limited menu is not for everyone, but they are totally okay with that. 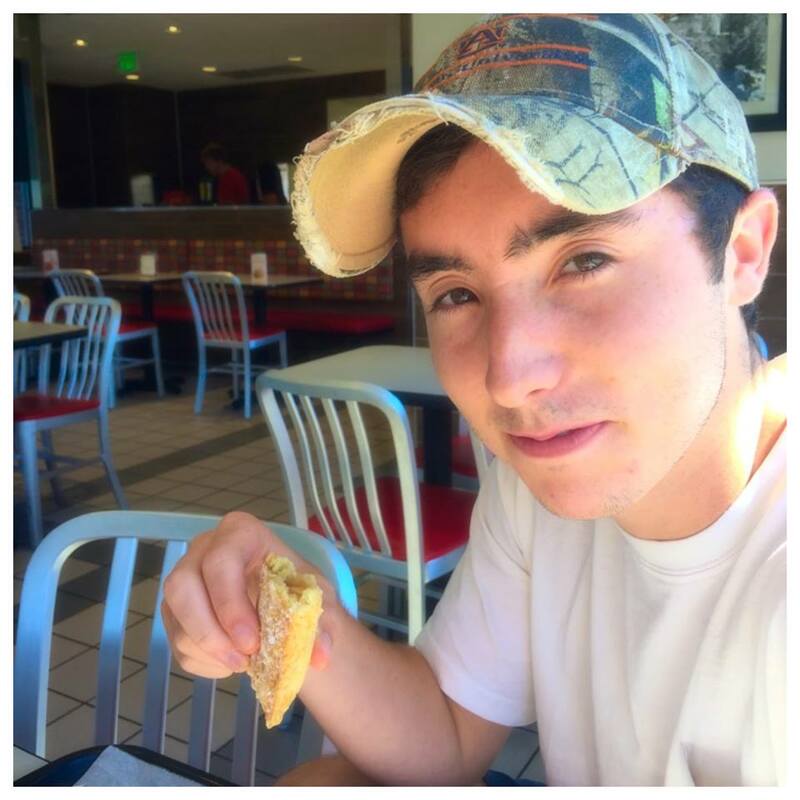 A Milo's customer is completely devoted to the simple concept. They don't come to Milo's for variety. They come for consistency and the unique, saucy flavors of Milo's burgers. The burgers are just as uncomplicated as the menu. Again, you probably won't come to Milo's if your idea of a burger is more salad and veggie toppings than meat. A Milo's burger consists of a grilled hamburger patty smothered in Milo's original sauce, which, as nearly as I can tell, is a barbecue type sauce. The sauce is not sweet, not spicy, not tangy, not bold, but it is uniquely Milo's. It has a deep, rich flavor, that I am unable to describe any other way. It is served on a grilled bun with chopped onions and dill pickles. No, you are not getting lettuce or tomato, but you can get a slice of cheese, if you like. 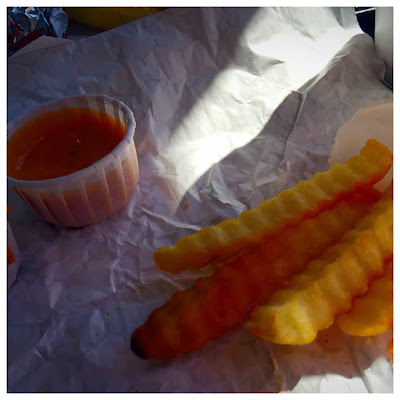 Milo's fries are crinkle cut and dusted with an original Milo's seasoning. If you have ever looked through a bag of barbecue potato chips for that one chip with the most seasoning, you have an idea of what Milo's fries are like. Seriously, I dig through the fries to find that perfect fry completely dusted in that delicious orange seasoning. 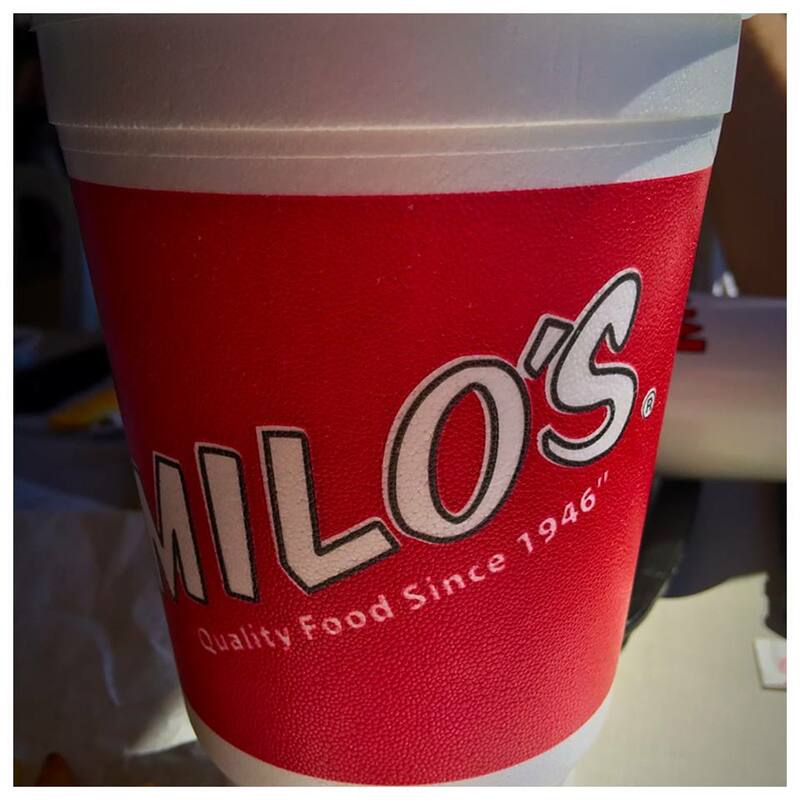 Milo's is also famous for their sweet tea. Honestly, in other restaurants I will order unsweetened tea or even half sweet/half unsweetened, but when I go to Milo's I order the sweet tea without blinking. It is so perfect. Milo's tea has such a following, they now sell all three varieties by the gallon in grocery stores, not only in Alabama, but also in Arkansas, Mississippi, Tennessee, Georgia, Louisiana, Kentucky, Virginia, South Carolina, Florida and Illinois. The only area of real variety at Milo's involves the sauces. 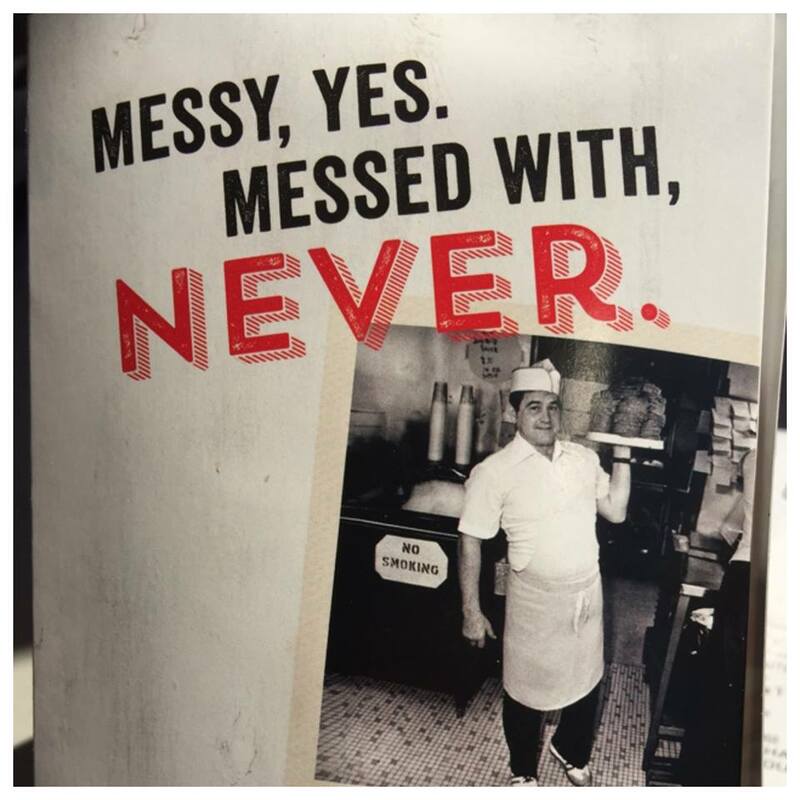 Milo's is all about the sauce and they prove it with five different flavors. 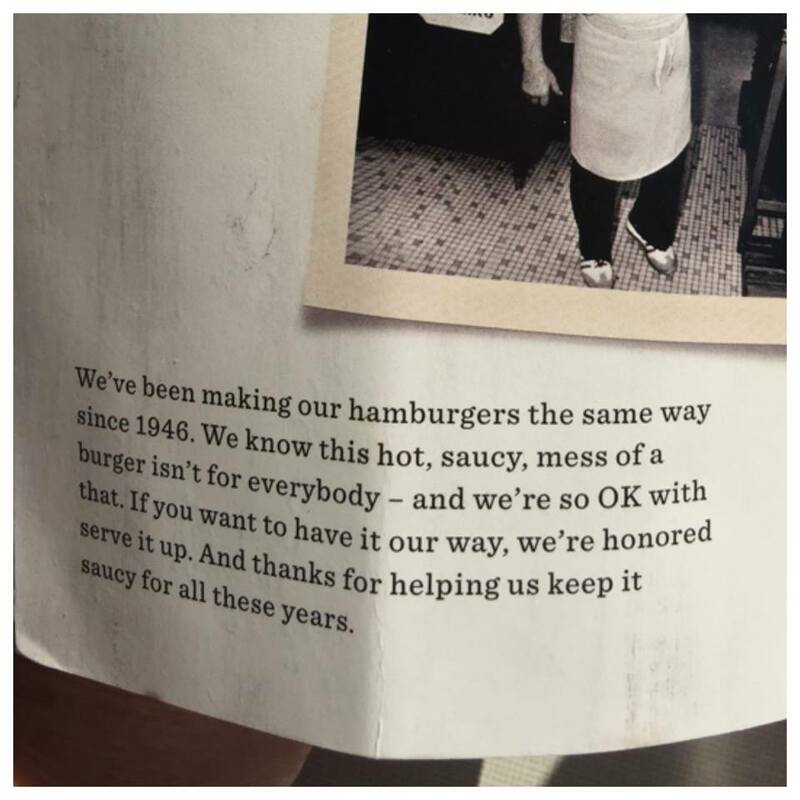 The original Milo's sauce is the same sauce that drenches every burger. Boom Boom sauce is a spicy orange concoction reminiscent of a spicy remoulade. The ranch sauce is creamy and cool. Double O is a mixture of ranch and original. Finally, Milo's offers their own version of honey mustard. JD likes to add Double O to his burger. Rob and I like to dip our fries in Boom Boom and Double O.
Milo's has fifteen restaurants, primarily in the Birmingham area. Locals are very familiar with the iconic restaurant. If you are traveling through Birmingham, you should definitely try out this unique burger. There truly is nothing else like it. Three Friends and a Fork are proud to give Milo's Hamburgers 3 Saucy Yums UP! 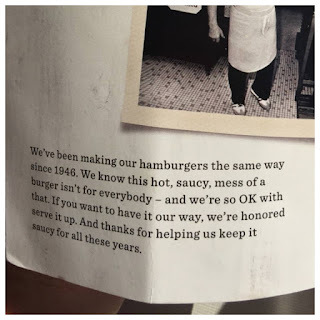 About the sauce, the closest I came to nailing a description was calling it "like A-1 sauce, but thinner and saltier." Grant, that is as good a description as any. It is very hard to describe to anyone who has never had it. It almost has a slight coffee taste. And it probably isn't as robust as A-1.